That was because you buy digital currency at coinbase before your fund arrives. You should first transfer your fund to coinbase. Then you buy digital currency with your available fund. Then you can immediately transfer you digital currency to your broker. By the way, Gemini is a good alternative to coinbase. What has come around in the US is now going around in the EU. In carefully worded emails, some EU brokers are alerting their EU clients, IBs and affiliates that it’s not illegal for EU-resident retail traders to move their trading accounts offshore to escape ESMA. We can’t encourage you to make this move, but if you investigate this opportunity on your own, and decide on your own to do this, you’ll be completely legal. To participants here on our Going Offshore thread, does any of this sound familiar? The "non-marketing" initiative comes as ESMA's rules limiting leverage which clients can use at EU brokers kicked in on August 1. Any suggestions on an alternative to coinbase? Meanwhile, I’m all set up on finpro since early this year, and the past few days I’ve added LQDFX, TurnkeyForex & Coinexx as well. 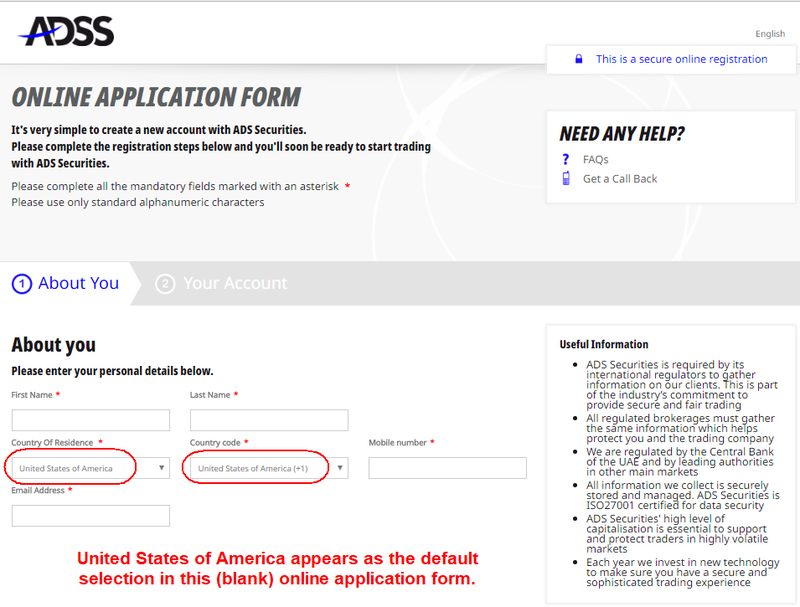 ADS SECURITIES ACCEPTS U.S. PERSONS? At this time, I don’t know anything, but I did look from a U.S. IP address and it geolocated me to the U.S. and United States was clearly an option in the link to open an account. If I hear any more, I’ll report. This looks like an interesting prospect, HyperScalper. Thanks for bringing it to our attention. no exclusion for U.S. residents (or any other nationality). And their online application page – ADSS Client Portal – shows United States of America as the default entry in the spaces for country of residence and phone number. ADS Securities, headquartered in Abu Dhabi, has branches in London and Hong Kong. So far, this looks promising. ADS Securities deserves a careful vetting. most people would need the Coinbase dot com basic functionality. For active Crypto Traders, then I guess it’s certainly important to use Coinbase Pro (formerly GDAX), or a similar crypto exchange…? Anyone heard of number 1 capital markets (n1cm.c om)? 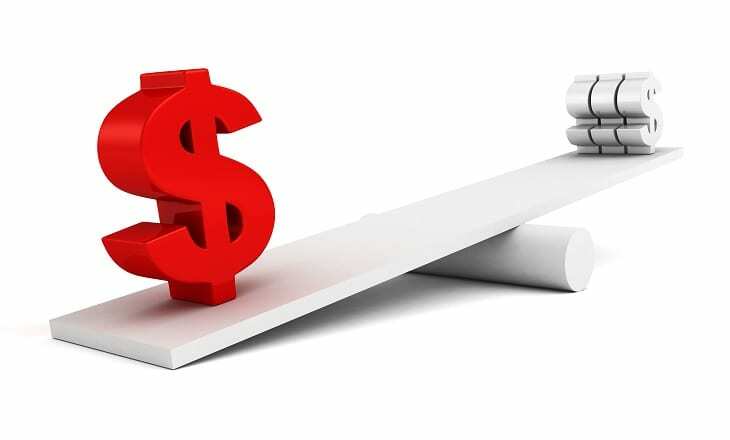 They look to be another forex broker that allows US clients to sign up and offer 1000:1 leverage. What the… How did I not see that? I searched for them in FPA and couldn’t find anything. Thanks for the added details, particularly on sending funds back to Coinbase/Coinbase Pro. Coinbase: Funds are immediately available to buy/sell bitcoin on Coinbase only, but must remain inside of Coinbase for 32 days. Coinbase Pro: Funds are not available, do not even appear in the Coinbase Pro wallet, but are “only” held for 8 days. When I deposited directly to Coinbase Pro, even though the deposit is not listed and the balance is still zero, when I look at my Coinbase account, it lists the deposit and indicates funds will be available on Saturday (8 days after last Friday’s deposit). Seems the confusion centers around hold times for ACH deposits and also on minimizing transactions costs. I tried a small tester deposit to Coinbase, had my funds held up for 32 days, and got clobbered for 23% round trip buying and selling BTCUSD. And I am a US citizen physically offshore my drivers license expired in 2004. That was a year after my last trip to the States. Governments round the world have accepted my passport as proof of ID, financial services have also accepted it, in conjunction with my US bank statement as proof of address, and Coinbase even accepts this combo to allow me to register my account. But they will not accept it to upgrade me to Level 3, so I can’t send BTC to you, or to a forex broker, or anybody. It seems Coinbase Pro will allow me to do that… and also reduce the fees. Are you Coinbase level 3? Trying to figure out why the delay for some account holders. I’ve just made a small BTC deposit to finpro, using localbitcoins. Enormous transactions costs, but I only need to do this to access the leverage. So effectively, that cuts my leverage roughly in half. If I can work with Coinbase Pro as small paul suggests, after their delays, I should be able to get the costs down. Also, finpro offers free conversion to/from BTC and if I need BTC in the future, I can use that wallet. Seems convenient. im at level 2, i figure out how to get around it. got to coinbase pro and select deposit, it will ask for bank or coinbase deposit, check coinbase deposit. Perhaps my time delay is because my coinbase account is new… I don’t know. We’ll see how it goes in the future. Why not make a cash deposit, in local currency, to the bank account of a seller in my host country? The national seller is in a different city, but their bank has a branch 500m from me. And the premium is only 3.6% for this kind of transaction. Seems I have a local friend who’s into BTC… the same friend who turned me on to Forex in the first place. Great excuse to go pay them a visit. Perhaps tech is NOT always the answer! Maybe best results can be achieved by a well thought mix of both tech and old skool… availing oneself of the advantages of each while heeding their respective caveats.